​With an eye on the environment and a love of nature, head beekeeper Stacy has launched Sunnyfields Honey in an effort to go back-to-basics by producing honey and home products that are simple and honest. The evolving portfolio of Sunnyfields products are created with as little fuss as possible. 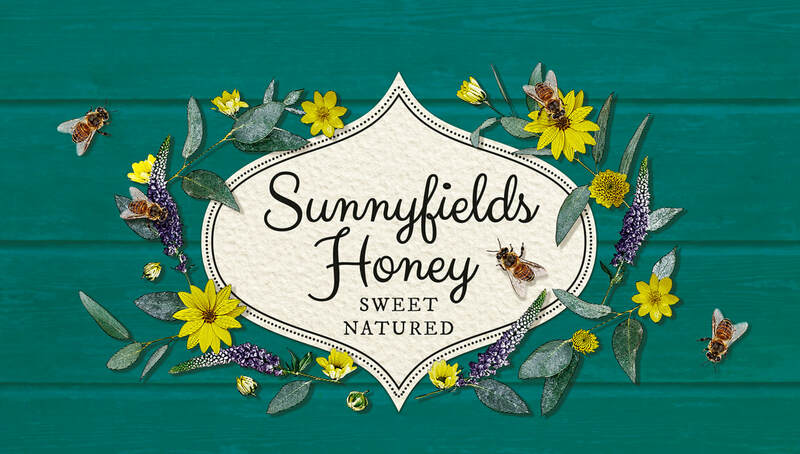 Each batch of Sunnyfields Honey has its own unique flavour due to the traditional manufacturing methods used. When you buy a jar of Sunnyfields Honey you’ll be tasting the sweet and unique flavours of ‘raw’ honey that’s only been filtered, hasn’t been pasteurised and is jarred as a single source, not mass blended; to allow you to taste honey as the bees intended. The kitchen (5-star hygiene rated) is also the hub of activity for the Sunnyfields Home products, with natural wood polishes, leather balms, wax wraps, candles and firelighters produced with love, care and a focus on natural ingredients. Interested in getting closer to the bees or want to give a little back and help grow the honey bee population? Visit a Sunnyfields Apiary for a two-hour introduction to bees and beekeeping, get dressed in a striking beekeeper’s suit and enjoy a hands-on experience to fully understand how the bees work together to produce the sweet natured honey and wax. The perfect gift for the honey lover in your family! Sponsoring a Sunnyfields Beehive is a great personal or corporate social responsibility activity, that can be used for some excellent environmentally friendly PR, boosting your company’s awareness and reputation, whilst positively impacting the local honey bee population. Click here for information on bespoke marketing plans for your food or drink business.